Although social media is a fantastic opportunity for businesses, one of the most common problems we see is when people set up their profiles and don’t know how to proceed beyond that point. In other cases, business owners have an idea of what they would like to be doing, but simply don’t have the time or resources to achieve this. If any of these problems sound like something you have experienced, you are far from alone. Pressure to get involved with social media when you have no time or inclination can be very frustrating. However, you might be surprised how streamlined the entire process could become if you choose the right tools to help you. Our personal favourite tool for social media management is Hootsuite. This is one of the tools we use here at 123 Ranking to help manage our own social channels as well as our clients’ who take advantage of our social media services. There is a free version with limited functionality, or you can pay for a more advanced account which supports more social media channels and offers extra services. With Hootsuite, the main benefit is having access to all your social feeds in one place. This means you can see messages coming in, what you’ve sent out already, and most importantly, schedule future posts for as long as you like. This means you can just take a short amount of time to plan out the majority of your content sharing for the next few weeks, and just get involved in real time when people reply to your posts. Buffer is a simple alternative to Hootsuite which also focuses on simply building up a queue of social posts to be sent out at pre-selected times. It provides some feedback and insights from each platform so you can see how successful each post has been, too. The interface of Buffer is simpler than HootSuite because it doesn’t focus so much on choosing specific times to send out your posts. It simply fills time slots automatically as you top up your queue, so literally all you need to do is enter a series of updates and the app will handle the rest. A lot of people are talking about IFTTT and applying a similar technique to other software. The abbreviation stands for “If This, Then That”, and in essence it allows you to use a system of triggers and actions to define a set of rules which will handle your social media for you. An example might be that every time you create a new article on your blog, IFTTT will send out an email or social media notification to inform your followers. This saves a lot of time and stops you having to go through a repetitive routine. How does another new platform really help? It might seem counter-intuitive to add another piece of software into the mix when your issue is that you don’t have time to get to grips with social channels. However, the benefit of these tools is that they are designed for business users who are pushed for time. 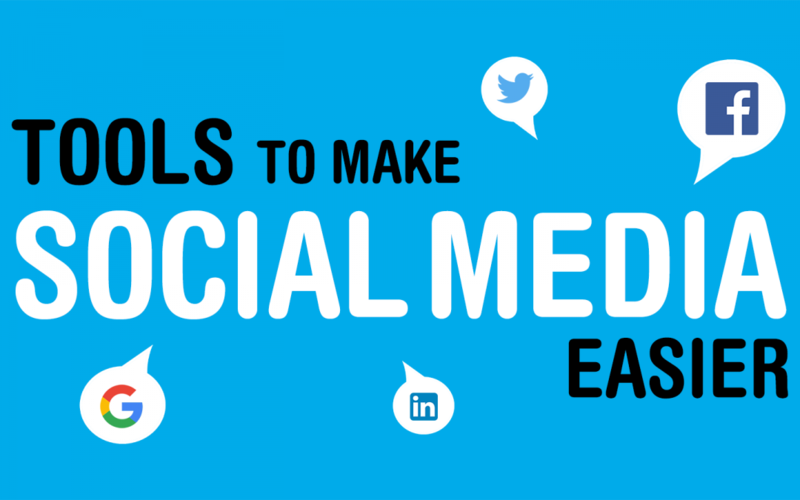 Social networks themselves are designed for social users who have more time to learn the ropes, and you have to duplicate your efforts to learn how to use three or four channels. Although you do need to understand the differences between different networks to maximise your engagement rate and get valuable results, using a single management tool can make the learning curve a lot smoother and allow you to get started faster. Still no time to study social media? It’s understandable that within a busy work environment, a lot of managers and business owners really are too preoccupied with other issues to take on social media. This is where we can help, since we can take the time to look at your social channels and help you get the most out of them. Not only can we keep your feeds topped up with relevant updates on a regular basis, but we also offer a wide range of other social media services to make sure you’re capitalising on all that potential. It all starts with an audit carried out by us, and we’ll send you a detailed report on your recent social media activity. This will include analysis of what has been working, what needs improvement and what we propose we do to help you. Just get in touch with us if you’d like to know more about our social media audits and other services.